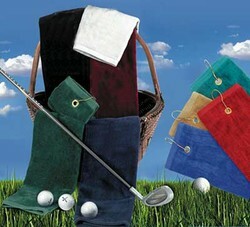 Golf towel with hook and grommet, tri folded, 3.5 lbs. per dozen. Made of 100% luxurious Velour cotton. 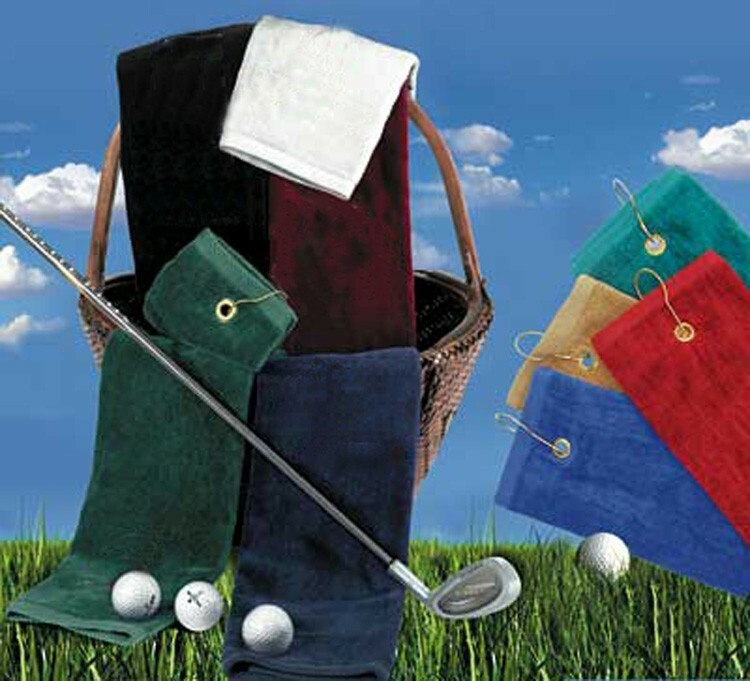 16x25 grommeted and hooked tri folded golf towels are a great give away at charity events, golf tournament, or holiday gift.